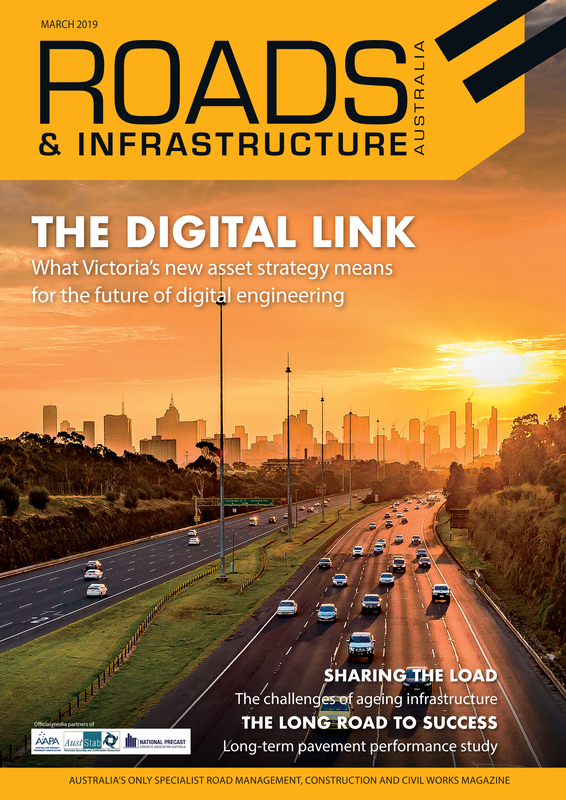 Roads & Infrastructure Magazine speaks to independent transport planner William McDougall about what needs to be done to ensure Australia’s transport infrastructure can keep pace with the nation’s growing population. Australia’s population has hit the 25 million milestone, with thousands flocking to live in the urban centres, according to Australian Bureau of Statistics data released in August. As more people begin using city roads, there is a risk of more single-commuter car trips adding congestion and slowing traffic on the existing networks. 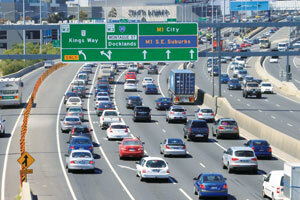 To prepare for the growth, the City of Melbourne is refreshing its Transport Strategy and has released a range of discussion papers that have sparked conversations about possible solutions to future congestion issues. It estimates the current population of Melbourne will almost double, reaching 8 million by 2051. Road congestion costs Melbourne $4.6 billion per year, which is set to grow to $10 billion by 2030 in part due to “poorly-functioning public transport and congested roads”, which threaten the city’s reputation, liveability and economic prosperity, according to the City of Melbourne. Simply building more roads isn’t an option for the city, according to its Walking Discussion paper, part of the Transport Strategy, as it would not eliminate congestion in the long term and create a huge cost to the community. With space in the city already limited, the paper says cars tend to be favoured by traffic lights at busy intersections, even though they take up 9.2 square metres per person on average compared with 0.5 square metres of pedestrians and trams, and only make up a minority of trips within the city. The Public Transport Network Discussion Paper highlights the necessity of the city’s public transport network to maintaining a liveable, prosperous and sustainable city and lists issues affecting it. These include overcrowding, increased demand and poor reliability. “Our public transport network is under strain. The number of people living, working and visiting the municipality is growing faster than can be accommodated by current services and committed public transport projects. The crucial Melbourne Metro Rail Tunnel will be at capacity soon after completion,” the paper states. With 80 per cent of Melbourne’s tram routes running in mixed traffic and a limited number of dedicated bus lanes, the paper says traffic congestion undermines the reliability and frequency of these services as well. Independent transport planner William McDougall says there are solutions to handle this congestion through proper planning and technology. “Not all congestion is bad, as often it means there is activity in the city, bringing people together and leading to economic interactions. This is an example of good congestion, as opposed to a high use of low occupant, single-user motor vehicles,” Mr. McDougall says. “We need to be smarter about planning for the future and making sure we can maintain a balance between both roads and public transport instead of pushing one rather than the other. The two modes of transport work best in tandem and shouldn’t be treated as oppositional,” Mr. McDougall says. To get smarter about how Australian cities can design and manage their existing road networks, traffic modelling software and simulations can provide vital insight into what is actually happening on the roads. “By using new technology and innovation in traffic modelling, more information on the actual flow of traffic can be learned. For example, a lot of the strategic models don’t assess intersections explicitly when they access the capacity of a road, while some don’t actually model the intersections at all,” he says. “Microsimulation and discrete event simulations are showing traffic flow much better than traditional methods by feeding individual vehicles into the computer models which then try to accurately simulate each vehicle on a section of road,” he says. “The aim is to have a computerised model of the road network, including all of their physical features, with computerised representations of individual vehicles,” Mr. McDougall says. Technological advances in this space has meant that more complex simulations are possible to undertake, some of which can use individual reaction and acceleration speeds for the different vehicles in a network, which help to create a more accurate simulation of the traffic. The technology has even been expanded to city-wide networks, which can be a vital method of assessing the behaviour of local traffic. Mr. McDougall says this type of simulation is difficult to run at the moment due to the enormous amount of data and computing power needed. Because there is only so much road space available in the city, Mr. McDougall says it is important to manage it as efficiently as possible, using the correct mix of transport options. According to the City of Melbourne’s Reducing Traffic for Better Streets discussion paper, the current method of managing street space needs an update to a fairer, more transparent and futureproofed system. Technology such as self-driving cars threaten the current methods of generating revenue for the City of Melbourne, as they may reduce the need to park in paid bays or incur traffic fines, slashing $87 million worth of revenue gathered from parking revenues and $323 million in state government parking fines. The City of Melbourne has looked to other cities to see where they have succeeded in handling an increasing amount of traffic. One example is Stockholm, Sweden, which introduced a scheme where drivers pay to enter high traffic zones. By doing so, it found most people switched from cars to public transport and saw an increase in free-flowing traffic conditions. Magnus Jensen, Operations Developer – Congestion Tax and Infrastructural Fees, from Transport Styrelsen, the Swedish Transport Agency, explains that the idea to introduce a congestion tax to Stockholm had existed for some time before it was actually implemented. “The choice of congestion tax to reduce congestion and emissions was not decided overnight, it emerged through several years of political and local discussions, proposals and investigations,” he told Roads & Infrastructure Magazine in a previous article. The major push behind the congestion charge was the city’s increasing population, which had a number of flow-on effects for mobility and the environment. The tax was put in place in 2007 and still remains in place, covering almost the entire Stockholm City Centre, with electronic control points at all entrances to the area where the tax is paid on entry and exit. London has also implemented a pay-to-drive in zone, with an £11.50 daily tariff without tollbooths or barriers. Drivers pay to register their vehicles registration number on a database which cameras scan to identify which motorists have paid the charge. The charge can be paid through phone, text, online or post, along with an automated payment system. Certain categories of vehicles were exempted, such as taxis and motorcycles, with residents of the area receiving a 90 per cent discount. The introduction of the tax has led to 14 per cent fewer trips within the zones for more than 10 years of stable congestion, even while the population has grown by 1.3 million. 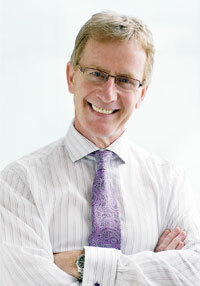 Mr. McDougall says that compared with the UK, the rate of growth in Australia is a much larger consideration. “Cities like Perth have been investing heavily in public transport and is a good example of how cities can try to move away from being car dependent, but in many ways, there’s a lot that can be done better,” he says. “One of the problems Australian cities face is that they are always playing catch up due to high growth. Whenever a new rail service, tram route or bus is added, demand soon fills up the supply. This occurs with major roads as well, as governments are accommodating the growth as it occurs and not looking far enough ahead into the future,” he says. Political targets and strategies have been introduced and discontinued by politicians in the past, with ambitious targets often being forgotten when the reality of the situation becomes apparent. “Melbourne in the early 2000s had the “20/2020” target, which was in the metropolitan plan of the day. It aimed to increase the amount of traffic mode share by 20 per cent by 2020, but as the cost of actually doing that became clearer over time, it was turned into an aspirational target instead of an integral part of planning,” Mr. McDougall says. He says that it is important to ensure planning and funding for transport infrastructure is maintained consistently into the future, adding that politics often interferes with this, usually to the detriment of long term planning.